An IRA: the savior for men and women looking to retire. With a healthy retirement fund, you can live out your golden years in peace without financial worry. What’s that? The average IRA or 401(k) has big problems? The majority people don’t know this because their nest egg is a sure thing. Sadly, current retirement plans are subject to changing conditions such as inflation. As it steadily increases, the amount you have in an IRA drops. It’s pretty scary when you think about it, which is why action is vital. To make sure your retirement is smooth sailing, here are the main issues and what to do next. 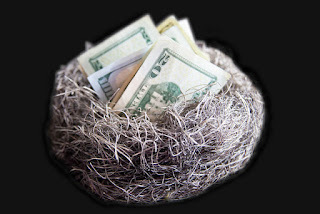 ROI stands for return on investment, and 401(k)s are by no means lucrative. The average yield is less than 3.5% and that won’t get you anywhere near the mark to retire comfortably. There are plenty of options, but Bitcoin seems to be the most popular at the moment. Due to its potential for growth, a self directed IRA with Bitcoin is an excellent way to increase a nest egg. As long as the cryptocurrency is encrypted, the risk is minimal. Another option is to get involved in government schemes which get employers to match or double your contributions. The effort to provide a detailed account of your retirement assets is shocking. Because it’s still a manual activity, it can take forever. And, the information might not be correct when it does arrive. Then, there is the fact that you need a comprehensive and up to date list to plan effectively. The only way to organize a 401(k) is to be proactive with the records. Rather than trust s record keeper, you should make a personal spreadsheet and update it on a regular basis. Employers often set up plans to help employees with long-term investment plans. What they omit to tell you is that the people managing your retirement fund are no longer with the company. As a result, there will be a complete mismatch of direction. When two different people have separate ideas, the 401(k) is bound to suffer. Experts suggest investing in index funds as opposed to anything else to help limit the damage. MoneyCoach founder, Patrick Traverse, says that index funds can mean “tens of thousands of dollars at retirement.” It’s only a one percent saving yet it makes all the difference. Although a prudent way to make money, dollar-cost averaging makes zero sense when the market is negative. Lots of 401(k)s revolve around this method, and yours may be no different. Don’t worry if it’s the case because it is a straightforward thing to resolve. The key is to find a conservative option within your plan. After you have the right one, start directing the savings into it and play the waiting game. When the investment is ripe, take a chunk of cash and put it into a less conservative asset. The most important point to remember is not to think your retirement plan is infallible. It isn’t and it needs constant tweaking and maintenance as a result.